Order in the next 1 hour 13 minutes for delivery on Tuesday, April 23. For engraving, order in the next 14 minutes for delivery on Tuesday, April 23. You'll love the subtle detail of this brushed inlay wedding ring. 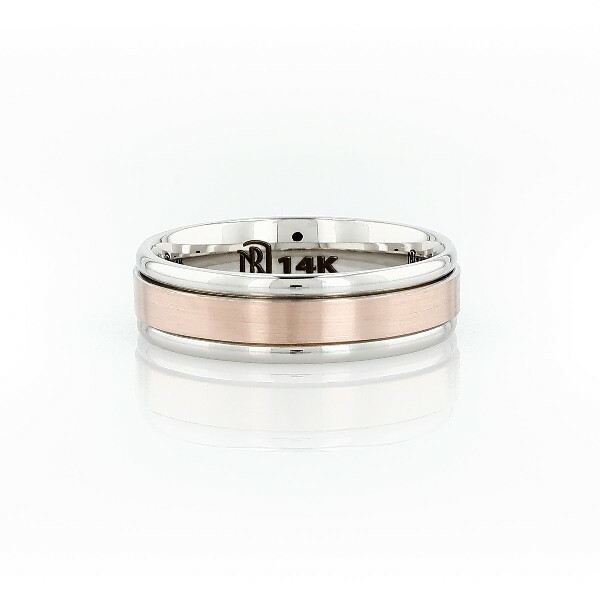 Crafted in brightly polished 14k white gold with a brushed finish, 14k rose gold center band, this timeless ring features curved inner edges for endlessly comfortable wear.